Visit the sales floor at Plaza Chrysler Dodge Jeep Ram of Inverness in Inverness, Florida to find stellar savings on a new Dodge lease! 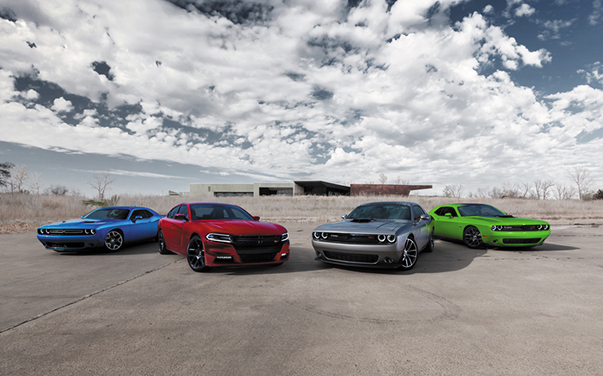 Right now is the ideal time to take advantage of an American-made Dodge lease option. A Dodge lease also gives you the flexibility of lower monthly payments and the freedom to get into a brand new Dodge model year after year. Learn more about how you can save with us by visiting our Inverness, FL dealership today! What's the best part about a Dodge lease? Doing so with Plaza Chrysler Dodge Jeep Ram of Inverness in Inverness, FL gives you access to our entire fleet of new models each and every year. That means cars like the new Dodge Charger are ready for you to get behind the wheel of and completely change the way you commute. We've got the Dodge Journey for SUV lovers in need of extra space, and vehicle likes the Dodge Caravan minivan, perfect for the entire family to enjoy. Take a look around a schedule a test drive on our lot today! Plaza Chrysler Dodge Jeep Ram of Inverness in Inverness, FL is here to help you finance your vehicle as well. Our knowledgable team promises to work with you and your credit history to help you take advantage of a Dodge lease option. Contact our auto finance center today to learn more and see how easy it is to save with a Dodge lease!